The main feedback that we’ve received on our classes is to publish a more forward-looking schedule and to simplify our beginner beekeeping schedule. This week, we looked at our calendar and scheduled classes through March 2018, until we begin another beekeeping season. We have 3 class offerings at this time. We developed our Introduction to Beekeeping class for people who aren’t yet beekeepers, but are thinking about it. Our Beginner Hive Management class shows new beekeepers how we manage our hives through the swarm season, harvest season, then closing down for winter. Our Queen Rearing for Backyard Beekeepers class is a two-day class to show how we set up our cell-builder hives and get some experience with grafting larvae into cell cups. We will add some other classes as we grow, but these 3 offerings will be continued in 2018. 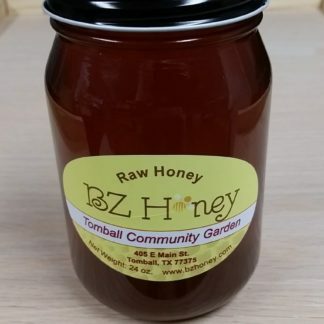 Last week, we harvested more honey from our hives at the Tomball Community Garden. Those hives not only pollinate the crops that are donated to TEAM, but we donate 20% of our honey sales from those hives to TEAM. TEAM has been doing great things to help people recover from the storm. This week, we’re donating 10% of our market sales to assist local farmers and farmer’s market vendors who were affected by the storm. We will donate this money to the Tomball Farmer’s Market for distribution. We also continue to assist homeowners with honey bee removal. 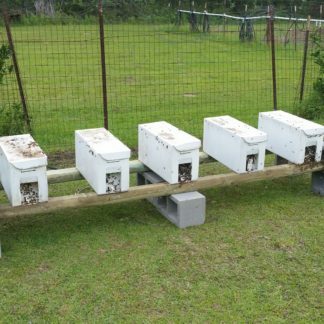 Hurricane Harvey displaced many colonies of managed and feral bees in our area. If you see a colony of bees suddenly appear in your yard or house, let us know. We’ll either trap or remove the colony, or if you need established colonies removed from the walls of your home, we can refer you to beekeepers who do that. Our store will be open Saturday 8 am – 4 pm and Sunday 10 am – 3 pm. The Tomball Farmer’s Market will re-open this weekend and the weather should be great, so come see us at the corner of Cherry St. and Main St. from 9 am – 1 pm. We will also have our booth in Cypress at The Farmer’s Market at Bridgeland this Sunday, 12:30 – 3:30 pm. This Saturday, September 9th, we will host an Introduction to Beekeeping Class at our store in Tomball. 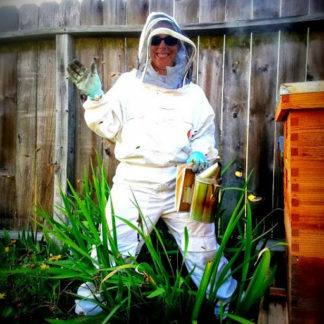 This class is geared toward aspiring beekeepers who do not yet have bees. We’ll put you in a bee suit, talk about bees and their hives, look though our classroom hive, and try to answer any questions you may have. The class runs lasts 1-1.5 hours and costs $40. We only schedule 6 openings per class, so everyone gets some attention, and we still have slots available at this time. Next Saturday, September 16th, we will host our next Beginner Hive Management Class. In this class, we’ll conduct a hive inspection on one of the hives at the shop and cover seasonally relevant material and what you should be doing in your hives. This week, we’ll discuss harvesting your summer honey and getting ready for the upcoming goldenrod flow. Our hive management class is $20 and lasts about an hour. You must bring your own protective gear for our hive management class. Beekeeping plans for the next few weeks. Last year, we harvested 10-15% of our honey crop in September and October. We haven’t seen the goldenrod flow begin yet, but all of this recent rain will probably generate a large fall nectar flow. Be sure that you have drawn supers on your hives to capitalize on the flow when it begins. If you haven’t harvested your summer honey, do it now and return those empty combs to the hive to give your hives plenty of room for dark, fall goldenrod nectar. 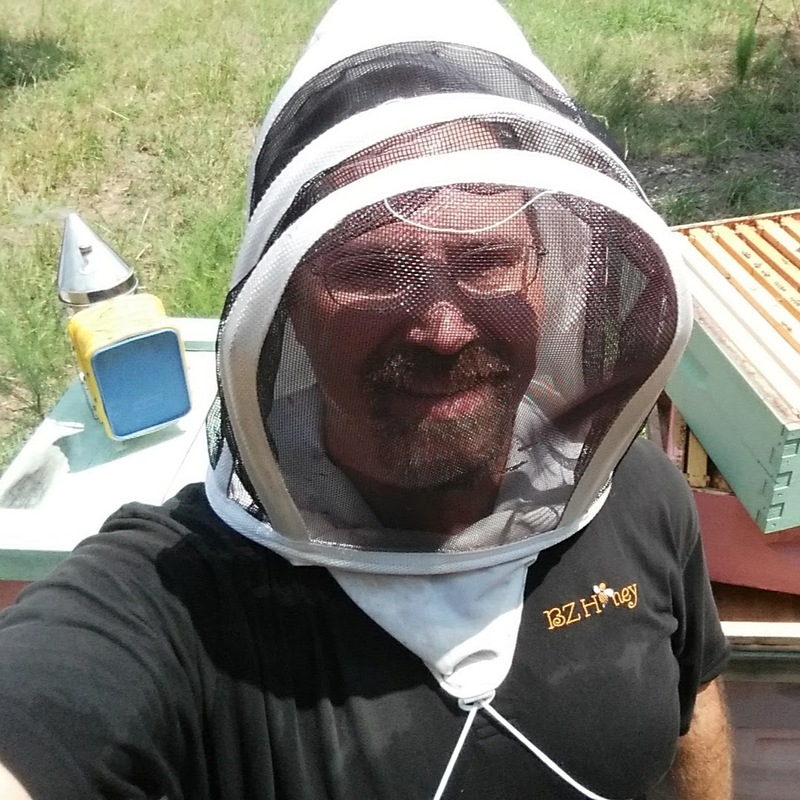 This week, we harvested amber summer honey from our hives in Tomball, so see if you have any! 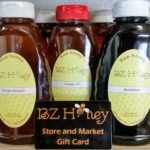 Buy Local and Varietal Honey with our Store and Market Gift Cards. This week, we offered a new curated varietal honey. We’ve found that most people either love or hate Buckwheat honey. Buckwheat honey is dark, thick, and fragrant. As a native of South Louisiana, Buckwheat honey reminds me of Steen’s syrup. 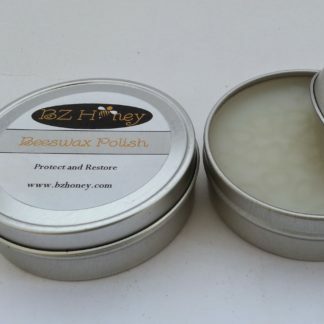 If you’re one of those who love dark honey, come try a sample of our Buckwheat honey. 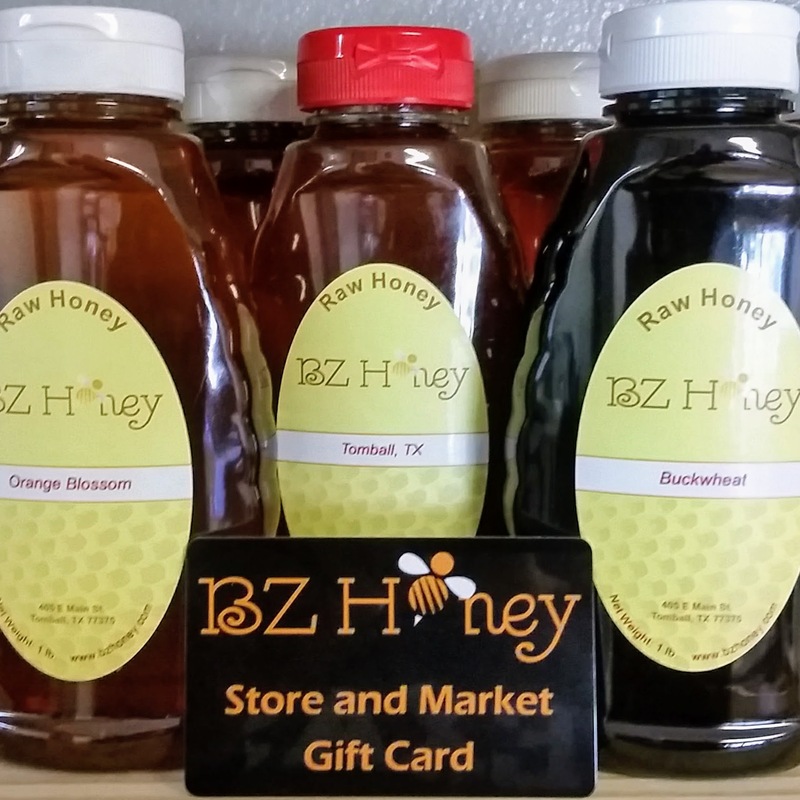 We also announced the BZ Honey Store and Market Gift Card this week. These cards will make great gifts for honey fans and future beekeepers. Since we use the same point of sale system at our store and our market booth, you can use our gift cards anywhere you shop with us. This past week, we were asked to schedule our classes more frequently and I hope today’s updates satisfy that request. If there’s any information that you’d like to see in our updates or via our classes, please let us know in the comments or directly at our store or market booth. Robert, we’ll have hives available this weekend when you pick up your nuc.